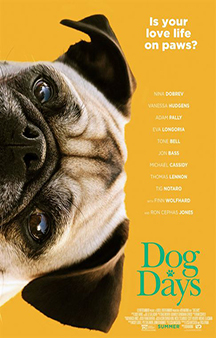 MOVIE SYNOPSIS: Elizabeth is a charming anchorwoman who seeks advice from her dog's therapist. Tara is a spunky barista who dreams of a life beyond the coffee shop. Daisy is a dog walker who's enamored with a client. Garrett pines for a woman while trying to keep his adopt-a-dog business afloat. The beloved canines in their lives soon start to influence their careers, friendships and romantic relationships in funny and unexpected ways.